A DRAMATIC sighting of missing Madeleine McCann the day after she vanished is being urgently followed up by private investigators. …spotted three years ago. We are not told whan the sighting was reported to police. A man has reported seeing a girl he is now sure was Maddie lying in the back of a van. 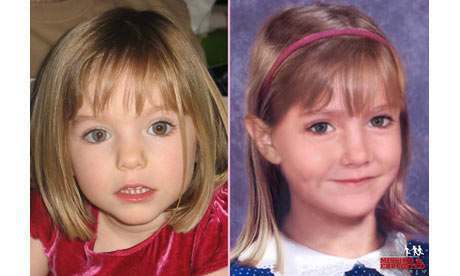 She was wearing pyjamas identical to the pair Maddie had on when she was abducted. The witness must have been pretty close to see her lying in the back of a white van – close enough to see the pattern on her pyjamas. New witness Carlos Moreira, 65, has told investigators the little girl he saw was with a man and woman who looked like gipsies. “I saw a white van with the back door open. I saw a girl, lying on a pile of clothes in the back. She was wearing a two-piece pyjama set, pink and white, or yellow. I saw her back, I could see her hands and feet. 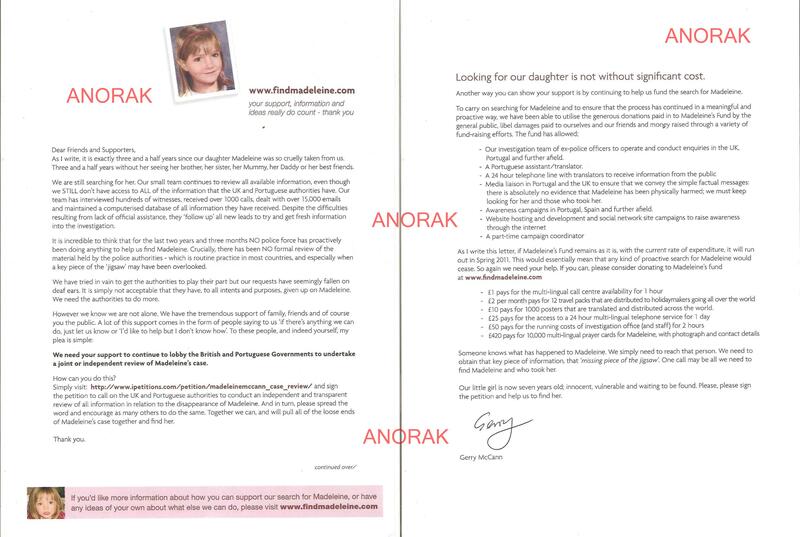 “This girl was blonde and looked around four. A woman came out of the back of the van. I noted that a strong and tall man, wearing a suit, was in front of the snack bar. Why now? Why doe she tells us now? Mr Moreira said the experience stuck in his mind – but he only realised it could be useful when he saw a cop being asked on TV why roads to the north or to Spain were not blocked after Maddie vanished. Child kidnap alerts could interrupt national TV programmes whenever a youngster is snatched, it will be announced today. Kate McCann, mum of missing Madeleine, was due to be a special guest at the launch of Child Rescue Alert. What odds viewers mistake the bulleting for part of the Corrie plot? It can happen. Police say the first few hours after an abduction are crucial in locating a missing child. But they expect the alerts to be rarely issued and will use new computer software to handle the anticipated deluge of calls from concerned members of the public. A child goes missing and it’s on the telly… Are you entertained?